Dance of the moors: originally, young arabian women danced to the music of melody and percussion instruments. During the fifteenth century, gipsy women took this dance form into their repertoire. 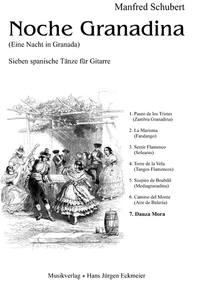 In the nineteenth century, guitarist Paco Lucena transformed the "Danza Mora" into a guitar solo piece.